01:59 — Doctor Who: Touring the UK to kick off Series 2, Season 5. 04:10 — Doctor Who: The console game coming to Nintendo Wii and DS. 05:12 — Delia Derbyshire documentary. 06:15 — J. Michael Straczynski taking on Superman and Wonder Woman. 08:34 — The Shat: William Shatner fronting new social networking site. 10:24 — Firefly: Dark House comics bringing out two new Firefly stories. 11:46 — Death: Peter Graves goes to the grave. 12:43 – Doctor Who: The Daleks (the 1963/4 story). 23:32 – Doctor Who: CAMRA pub crawl. 30:35 – Being Human: Season 2. 44:44 – Alice in Wonderland. 91:09 – Farewell for this podcast! 91:45 — End theme, disclaimer, copyright, etc. BBC: Doctor Who – The Daleks. CAMRA: Campaign for Real Ale. 02:33 — Doctor Who: 3D trailer for New Series, Season 5. 05:14 — Syfy: The UK Sci-Fi channel gets a dose of SyFy. 07:33 — Doctor Who: Prop and costume auction. 10:40 — Doctor Who: New Character Options figure – 7th Doctor & Remembrance Dalek. 11:50 — Metropolis: Complete copy found, remastered DVD on its way. 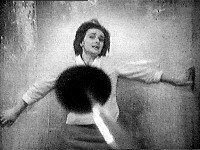 13:25 – Doctor Who: The Masque of Mandragora. 27:06 – Survivors: Season 2 (2010). 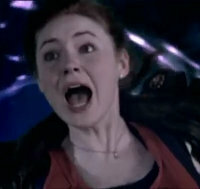 37:42 – Doctor Who: New Who season trailers. 86:17 – Farewell for this podcast! 87:14 — End theme, disclaimer, copyright, etc. Forbidden Planet (.com) 7th Doc and Dalek. BBC: Doctor Who – The Masque of Mandragora. Facebook: Lets get Bernard Cribbins back into the charts!